Unit & functional testing is must to ensure that you are developing a first class E-commerce shop. But, Magento lacks built in unit test suite. PHPUnit offers a complete unite testing suite and helps Magento developers to test driven development practices in an easy way. When you use this tool, it doesn’t alter core files or break the database of your Magento site for the reason that a separate database is used to conduct the test and all objects of the system are replaced during the run time. The HTML of any page (In Magento) comes from a number of different phtml files. In order to make a change in any page, first of all, you need to know the exact location where the HTML code is created. For this, you are required to enable template path hints from Magento. If you do it manually, it takes a considerable amount of time. But, when you use Easy Template Path Hints, it turns on template path hints quickly in both the front end and backend. This tool is tested for Magento version 1.3.2.4 – 1.9 and is easy to install and configure. 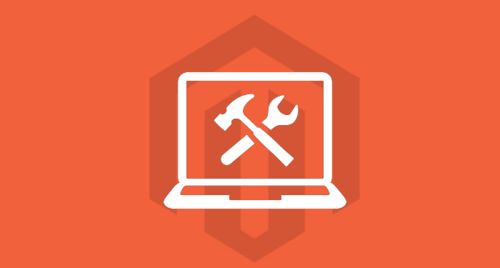 When you run a Magento site, you need to debug its PHP codes from time-to-time to improve its performance and give your customers the best shopping experience. Magento debug is the most excellent tool to debug the PHP codes. You can use this tool to get profiling information for PHP scripts and conduct code coverage analysis. This tool comes up with several features such as Magento module listing, script execution time, list Magento configuration, etc. Commerce Bug 2 is an important tool for Magento developers. When you use this tool, you can get all important updates about the system for each request or page. This tool is used and liked by all those IT individuals who deal with coding. it offers useful information about a list of each block and phtml template pair, instantiated models and their locations, action name of every request and controller. MGT Tool is a developer’s tool that helps them to abolish problems related to the performance of Magento sites and analyze how each page on your site is performing. When you use this tool, you can get a detailed overview of the number of queries executed, memory consumption and the controller. This tool also helps you to get a useful information about Action, Module and the Controller. It helps you to make changes in all blocks and templates in an easy way and boost your site’s performance easily. Always keep in mind that operating and handling Magento website is not a child’s play. But, when you use PHPStorm, Magento development becomes a stress-free job. This tool helps you a lot in testing, profiling and debugging your E-store in an easy way and keep it in functional mode 24*7. Actually, it’s a complete package of tool that is equipped with lots of features. It helps you to debug your site easily and quickly. Code coverage feature of this tool helps you to find out the exact codes which are covered with tests. Mobify gets integrated into your Magento website in an easy way and it adds different mobile E-commerce features to your site. Upon integration, this tool utilize user management tools to increase the capabilities of E-store to offer mobile optimized solutions in an easy way without changing your online marketing software. It helps you to give online shoppers the best browsing experience on various mobile devices. Developing a Magento site and its maintenance often makes the life of Magento developers a hell. As a Magento developer, If you are reeling under the tremendous pressure of Magento development assignments, then, using the above mentioned tools is recommend for you. All these tools will help you to perform different tasks of Magento development in an easy way and give some relief and pleasure to you.